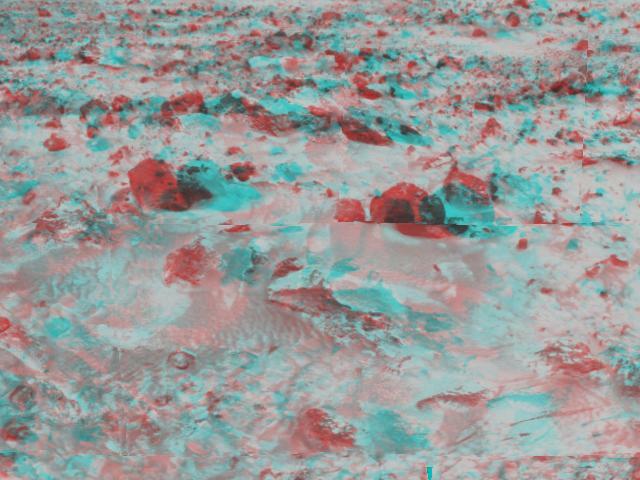 An area of rocky terrain near the landing site of the Sagan Memorial Station can be seen in this image, taken in stereo by the Imager for Mars Pathfinder (IMP) on Sol 3. 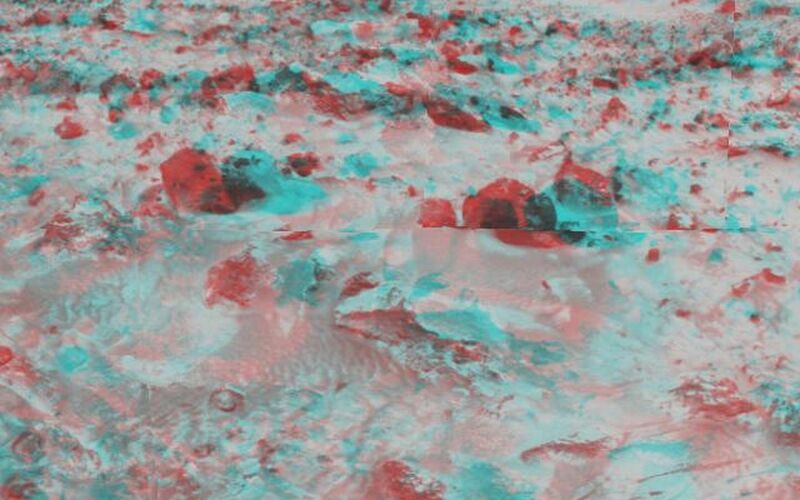 3-D glasses are necessary to identify surface detail. 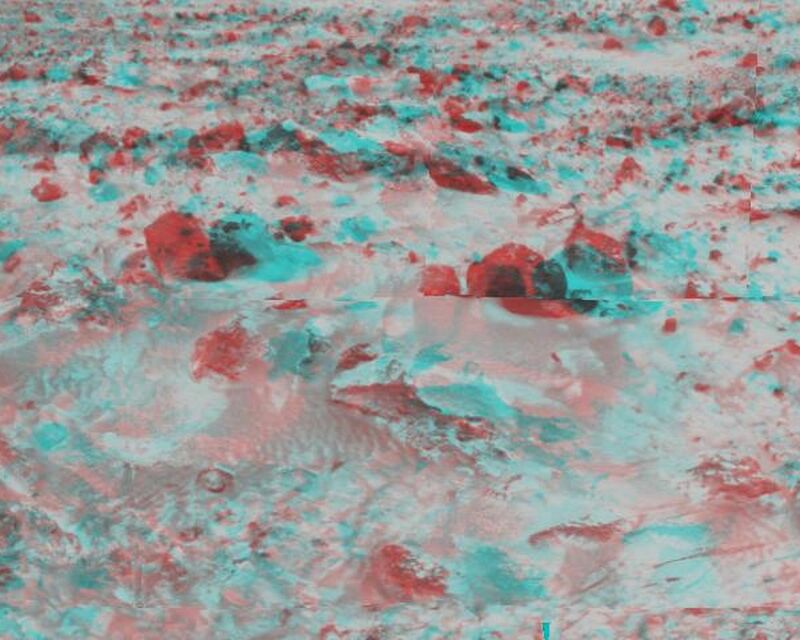 This image is part of a 3D "monster" panorama of the area surrounding the landing site.